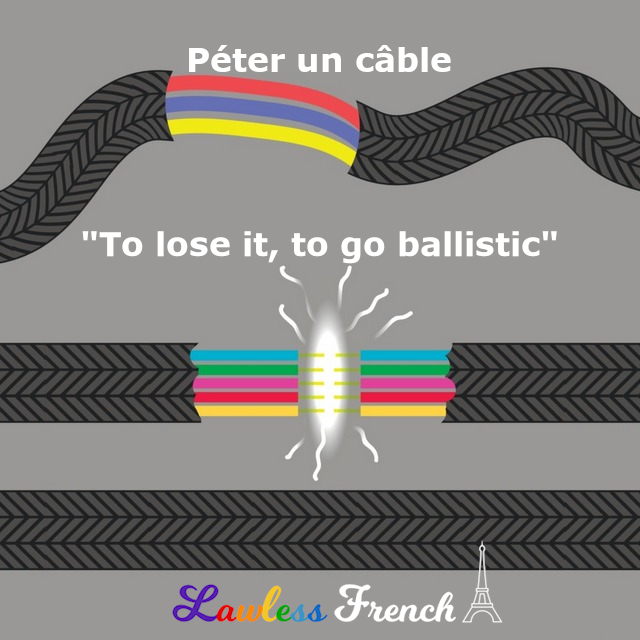 Usage notes: The informal* meaning of the French verb péter is "burst, pop, snap," and this is the key to understanding the French expression péter un câble (as well as several synonyms). When a person gets really angry and has a fit, the French say that he "bursts a cable," which always makes me think of that vein you sometimes see throbbing on a furious person’s temple. Quand il a entendu la nouvelle, il a pété un câble. When he heard the news, he went ballistic. Je commence à péter un câble ! I’m starting to freak out! 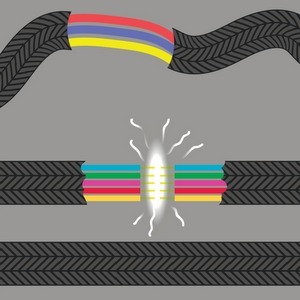 disjoncter – "to disconnect, trip a breaker"
*Péter also has a familiar meaning that can only be used intransitively (without a direct object): "to pass gas, fart."